Khartoum- Sudan's National Assembly has confirmed its keenness on developing cooperation and common interests between Sudan and European Union (EU), called for further communication between the two parties. During his meeting with EU Ambassador in Khartoum, Thomas Ulicny, on Tuesday, the Chairman of the Foreign Affairs, Security and Defense Committee in Parliament, Mohamed Al-Hassan, described the relation of Sudan with South Sudan as "positive", praising the steps taken by South Sudan's government to stop supporting the rebellion movements. 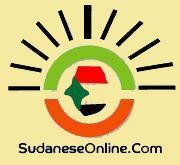 Al-Hassan stressed in a press statement after the meeting Sudan's firm rejection of any unilateral decision from South Sudan over the fate of Abyei region, pointing out the need to agree about who is entitled to vote in any referendum, pointing out that the Misseriya tribe has right to vote according to the agreements. He disclosed that EU has provided urgent support to those who affected by heavy rains and floods.